Vivo has been very aggressive in promoting their latest top of the line handset, the Vivo V7+, both offline and online. The numbers of newly signed up celebrities, including Daniel Padilla and Kathryn Bernardo, just to endorse the said product is a of proof their seriousness to be on top. And with more than 5000 pre-orders, it seems that their hard work is paying off. 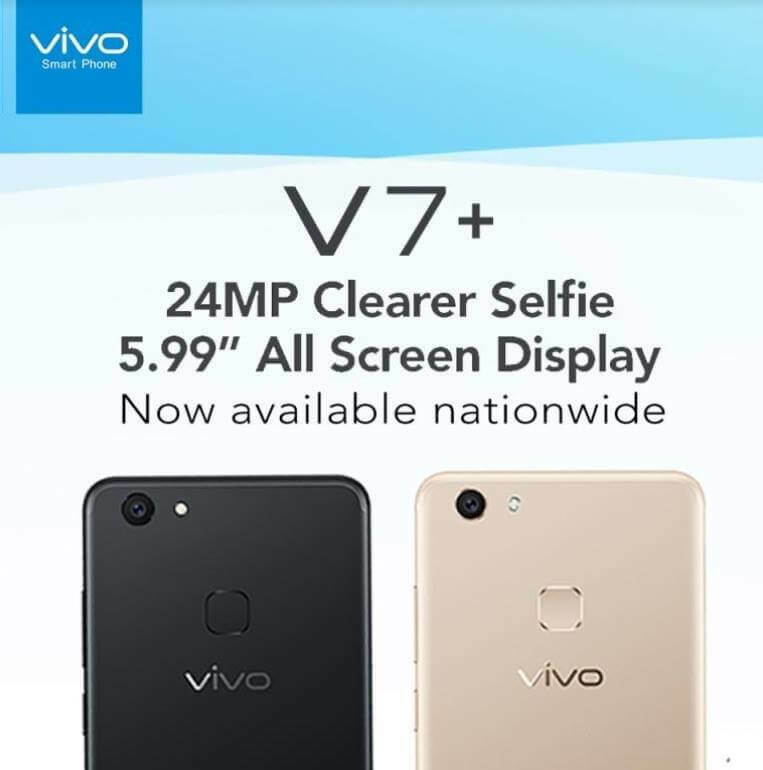 The Vivo V7+ will be available nationwide starting today, September 30, and with the initial orders Vivo already have, we can say at this early stage that there is something great is happening with their efforts. By the way, with a suggested retail price tag of Php17,990, and assuming that all consumers who pre-ordered get their units today, the smartphone brand will earn about 90 million pesos in gross revenue. For uninitiated, the Vivo V7+ sports a FullView Display that measures 5.99 inches diagonally and has HD+ resolution. Under the hood is an octa core Qualcomm Snapdragon 450 processor paired with sizeable 4GB of RAM and ample 64GB of expandable storage. Camera wise, there is a 24MP snapper in the front to give users clearer selfies, and a 16MP shooter on the back. Other specs worth noting are HiFi Audio, triple card slots, Face Recognition similar to that of the Apple iPhone X, 3225mAh battery with fast charging capability, and runs on Funtouch OS 3.2 based on Android Nougat.